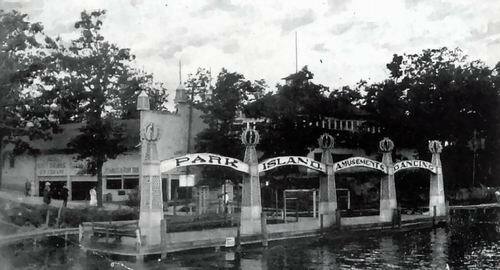 Lake Orion’s Park Island was an amusement destination amongst the residents of Metro Detroit in the first half of the 20th century. The addition of the Michigan Central Railroad track in 1872 had set the stage for Lake Orion as a major summertime resort for those traveling on the line, especially Detroit and Flint. In 1874, several prominent citizens formed the Orion Park Association to capitalize on the growing number of travelers to the area. They developed a park on the shore of the lake near the train depot and operated a steam-powered boat for lake excursions and delivery to Park Island. 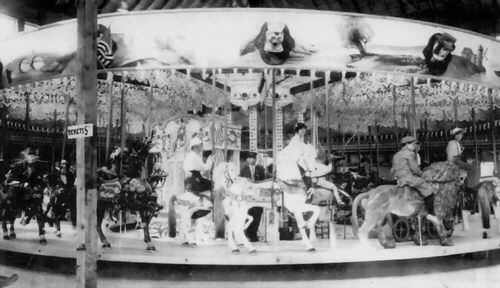 Over time, the Park Island Amusement Park grew to include a penny arcade, carousel, souvenir booths, refreshment booths, lunch stands, dining rooms, dance halls, and a wooden roller coaster named “The Thriller”. 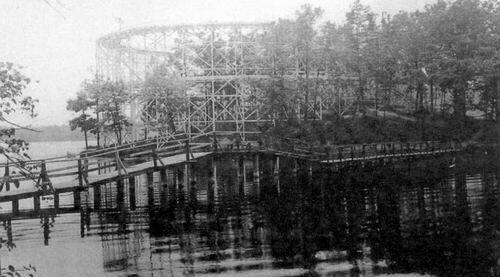 The swimming beach located on the north side of Park Island had a water slide, numerous diving boards, and a bathhouse for both men and women. Lake Orion was stocked annually with bass, pickerel, and pike to cater the seasonal fishing tournaments. Several double-deck boats offered lake excursions replete with bands and a dance floor on the upper deck. At night, Park Island was illuminated by strings of thousands of lights. In many brochures and newspaper advertisements in the 1910s and 1920s Lake Orion was advertised to potential travelers as the “Venice of the Middle West”, “Paris of Detroit”, and “Lake Orion, the One Best Resort”. At one time a premier destination amongst vacationers, the park suffered through the Great Depression and several fires, gradually losing business before closing permanently in 1955. The park was under the ownership of the Detroit Edison Company from 1912 until closure. A private estate developer who built homes on the island in the 1960s later purchased the island and park property.